If you’ve never been to the PMA Fresh Summit, you’re in for a treat…quite literally. There are over 50 aisles of exhibits and most of them have free samples and tastings of fruits and vegetables of every conceivable shape, size and variety. You can wander from booth to booth and grab an apple, a pear or perhaps something you’ve never even seen before that’s traveled from Chile, Mexico or Argentina. While we won’t be able to offer you any fresh fruits or vegetables in our booth, we can demonstrate how we can help ensure the delivered freshess of those fruits and veggies as they make their way from the field to the grocery store. Come by our booth at 3782 at PMA and say hi and we’ll show you how we’re working to improve freshness and quality of your fresh produce. 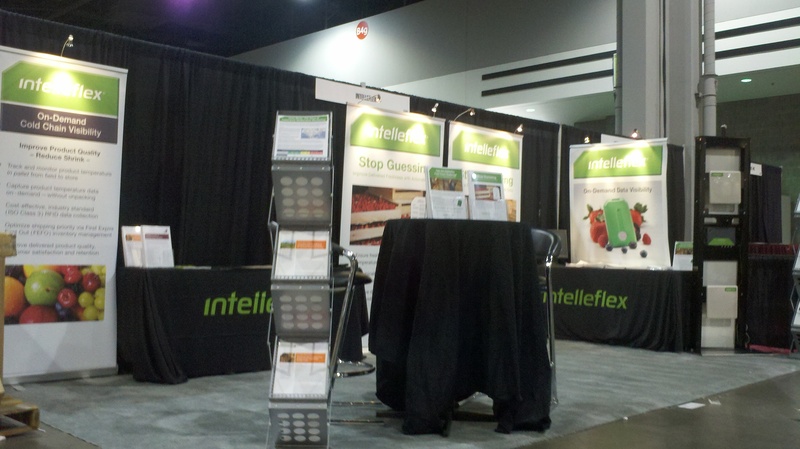 This entry was posted in Perishables, RFID News, RFID Tags and tagged Fresh Summit, PMA, Produce. Bookmark the permalink.